Singapore’s customer-service-oriented culture is perhaps most recognizable through the city’s daily use of technology, and it doesn’t take long to be greeted by these gadgets. After getting your passport checked at Changi Airport’s Immigration counter, you’ll find a sanitized touch screen monitor asking for your opinion of the process. But it doesn’t stop there. Walk into a restroom in Changi Airport and you will find the same touch-screen monitors in every bathroom, asking for your opinion on the restroom cleanliness. 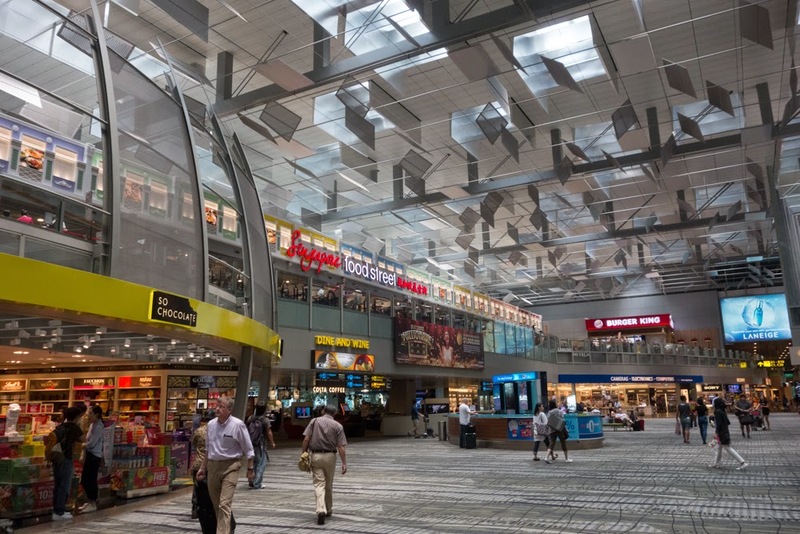 If you are flying out of Singapore Airport, or passing through, just scan your ticket at one of the airport kiosks and the monitor will tell you where your gate is located, and exactly how to get there. No need to wander around lost, though you might want to, because Changi Airport has a host of other attractions to entertain. At a architectural exhibit in downtown, visitors are able to interact with a 3-D model of the city by holding pointing a tablet computer at the exhibit and getting information and images of the particular neighborhood. On the streets, an electronic display shows the number of parking spaces available at nearby lots. I’ve seen these in other cities as well, but they are usually posted at the entrance to the parking lot, where it’s too late for you to turn around if the to is full. This one is at a busy intersection, so a driver would have time to adjust their direction based on what lot they choose.